We know what you’re thinking: Study Juice’s bottle is bigger than Alpha BRAIN’s. The bigger the bottle, the more discarded plastic swirling in the Pacific Ocean, drawing us ever closer to the end of the world. Good on Alpha BRAIN for keeping it cleaner & simpler–even though, both supplements deserve praise for providing clean, veggie capsules full of all-natural, herbal nootropics. Yet, I’m not here to compare bottle sizes. What I really want to know is which nootropic is better? 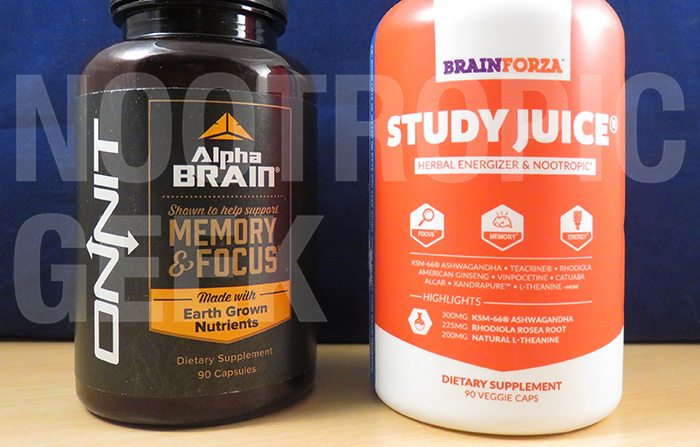 Alpha BRAIN or Study Juice: Which is better? Focus, Energy, Mood, Flow, Motivation, Fuel, Memory, Recall–both formulas supply these benefits to varying degrees, one product laying a heavier emphasis on Flow, Memory, & Recall (Alpha BRAIN), the other focusing on Focus, Mood, & Motivation (Study Juice). Yet neither are confined to these bio-actions. Flow Blend: Aminos and herbal compounds for creative brainflow. Focus Blend: Non-caffeinated botanicals for memory & cognition. Fuel Blend: Antioxidant neuroprotection and Vinpocetine circulation. And let’s not forget ac-11® Cat’s Claw, Onnit’s unique Cat’s Claw extract that adds another dimension of antioxidant neuroprotection. The ac-11 extract is unique to Onnit, found only in Alpha BRAIN formulations. Read my in-depth review on Alpha BRAIN. Brain Forza has the juice with Study Juice, a non-juice, capsulated student nootropic, full of (you guessed it) juicy caffeine. For the most part, they accomplish what they claim, although with “Memory” taking a backseat to the other claimed benefits of these complexes. Add in the Absorption benefits of BioPerine black pepper extract and you have yourself a premium-grade nootropic study aid. 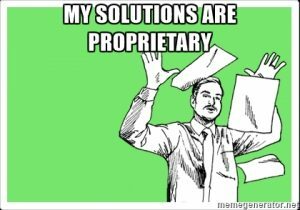 Read my in-depth review on Study Juice. Who said anything about “stress”? ac-11 Cat’s Claw: Only Onnit owns this brand of Cat’s Claw, which isn’t a cognitive enhancing nootropic so much as its a neuroprotecting antioxidant. Phosphatidylserine: When it comes to boosting long-term natural brainpower, phosphatidylserine is one of the best for the job. Alpha-GPC: While I’m hot on citicoline, Alpha-GPC is a notable choline source for having the highest nootropic choline concentration. Bacopa Monnieri: Alpha BRAIN notches in this adaptogen herb that, when supplemented long-term, seems to possess significant memory benefits. Pterostilbene: Resveratrol may have all of the attention, but pterostilbene seems to be a better antioxidant form of Resveratrol. Rhodiola Rosea Extract. One of the most powerful, potent adaptogens for resisting stress & fatigue. Boosts brain & body power. XandraPure™ Schisandra. XandraPure is a quality branded extract of another quality anti-stress adaptogen botanical. TeaCrine® Theacrine. More quality brands, this time of Theacrine, which is gaining more & more attention for its caffeine-like stimulation. KSM-66® Ashwagandha. Well-researched brand of a multipurpose Ayurvedic adaptogen. N-Acetyl L-Tyrosine. Alpha BRAIN has L-Tyrosine. Study Juice has N-Acetyl L-Tyrosine, which is like L-Tyrosine, except way better. BioPerine® Black Pepper. Every formula should have BioPerine, the black pepper extract that enhances nutrient absorption in miniscule doses. 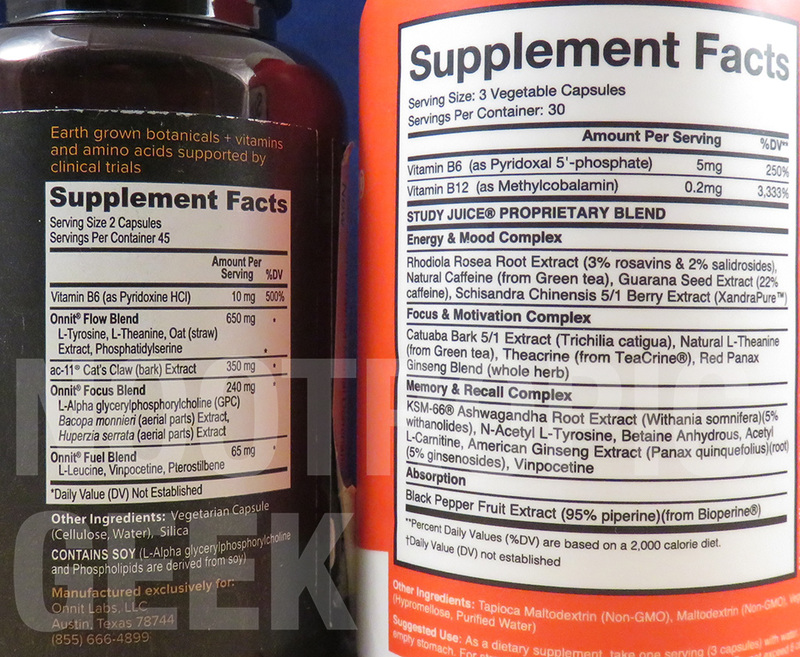 A feature that’s unfortunately shared between these supplements is the proprietary status of their blends, in effect hiding the individual ingredient dosages under catch-all blend dosages. Fortunately, both products provide enough milligrams per blend to adequately cover each ingredient, but I’d rather see all ingredient dosages here. But what can you do, eh? Study Juice clearly has an edge (or rather edges) over Alpha BRAIN in the potency & quality departments for its impressive number of nootropic brands, bio-available compounds, and herbal extracts. Alpha BRAIN claims “extract” on its herbs, but fails to mention the standardization %, if any, as Study Juice does. Plus Study Juice tosses in a small amount of BioPerine, which can go a long way in terms of formula potency. Yet, I’m still handing props to Alpha BRAIN for doing what it does without relying on cheap caffeine stimulation. Study Juice does enough to offset the jittery side effects of caffeine, but Alpha BRAIN remains one of the few nootropic stacks that accomplishes major cognitive enhancement without stimulation. Based on this, personal experience, and positive customer reviews, Alpha BRAIN reads like a nootropic that actually works how a nootropic is intended to work. Even so, Study Juice’s demonstrated potency & quality are incredibly high value and relatively unmatched, a feat made all the more impressive when you check out its price. Alpha BRAIN is clean, green, healthy brainwaves. Don’t underestimate the value of non-caffeinated nootropic stacks. What’s awesome about stacks like Alpha BRAIN is that you know that it’s working when it’s working. The same can’t be said of caffeinated supplements. Onnit, in general, offers a solid line of Earth-grown supplements, of which Alpha BRAIN shines bright. In a greenish-brown, earthy sort of way. Study Juice is anti-stress, pro-joy stimulation. 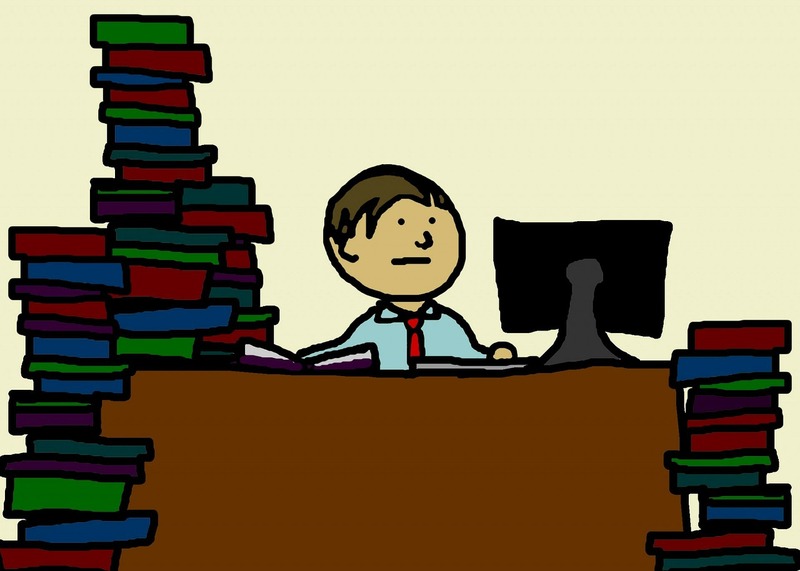 Students and brain-workers are always laying it on the wire, whether it’s due to procrastination, heavy workloads, or both (usually both, right?). Study Juice cranks your brain into gear when you need it the most, turning up the energy to Spinal Tap eleven, yet easing it with a mellow crew of adaptogens and anti-stress compounds. Study Juice is feel-good energy of premium potency & quality. If this were a comparison review between Study Juice & Alpha BRAIN Instant, my recommendation would likely be different. As a matter fact, it would be different, considering that Alpha BRAIN Instant provides the same formula as Alpha BRAIN, except cheaper with heavier dosages and an added supply BioPerine. Yet, with these added features missing in the original (expensive af) Alpha BRAIN formulation, Onnit just barely misses the mark, giving Study Juice the lead.